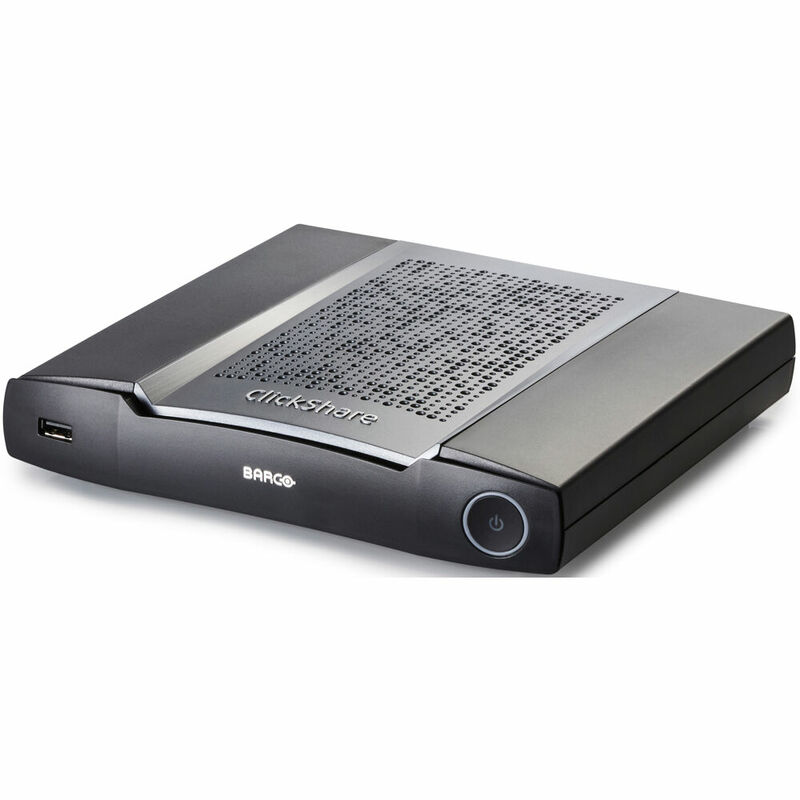 The CSE-200+ offers the ClickShare experience for medium-sized meeting rooms. Users simply plug the ClickShare Button into their PC or Mac and click the Button to get the content on the meeting room screen. The ClickShare App gives users additional features for sharing and collaboration with mobile phones or tablets. Combining Button and App stands for an enriched user experience in the meeting room. The CSE-200+ was designed for enterprise rollouts. It offers enhanced security features, full network integration, a wide range of interactivity features – including annotation, blackboarding and TouchBack support on a 4K canvas and central management. Allowing up to 2 persons to share content simultaneously, the CSE-200+ encourages collaboration and brainstorming.